The Automotive Service & Repair program is made up of three levels of well-rounded coursework and hands-on training in the automotive service field. The first level is a one-year vocational certificate which prepares you for entry-level work in four areas. Once you’ve earned your vocational certificate, you can move on to the second level of the program and complete your master certificate courses which are offered on a rotating basis every other year. The third level of the program, an associate in applied science degree, can be earned by completing 14 additional credits in English, math and political science. Students are required to provide their own safety equipment, work clothes and basic hand tool set (estimated cost is between $1,000 and $2,500). Special student discounts are available. After completing each Automotive Service & Repair class, you’ll be required to take the state certification exam. You’ll also need to begin preparing for your Automotive Service Excellence (ASE) certification exam because many dealerships require ASE certification for employment. ACC is a site for ASE's computer based testing. ACC Automotive Service & Repair students get hands-on training in a setting that resembles an actual automotive service facility. You learn how to analyze engines and diagnose systems using equipment that meets current industry standards. With a Certificate in Automotive Service & Repair from ACC, your job opportunities are many and diverse. Jobs are available at new car dealerships, independent repair facilities, or specialty shops. Skilled technicians are also needed by businesses and industries to repair and maintain industrial or fleet vehicles. The average work week for automotive service and repair technicians is 40 to 48 hours, with frequent overtime during busy periods. Employment is expected to increase at an average pace of 17% through the year 2020. Opportunities should be best for persons with formal training through post secondary automotive training programs. Median hourly earnings of automotive service and repair technicians, including commission, were $17.21 in 2010. Your average hourly wage, of course, depends on the size, type, and location of your employer, as well your skill and experience level. Information in this section was gathered from the Bureau of Labor Statistics website (www.bls.gov/oco)(1/9/2013). You can find out more about job opportunities in the Northeast Michigan area by consulting the Michigan Works! 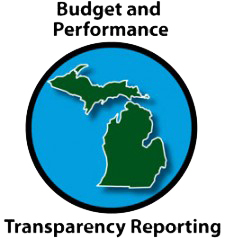 website at www.michiganworks.org.